Specialising in limited edition re-issues of hard to find psych/pop albums, Sugarbush records are doing a fine job if theses three releases are anything to go by, beautifully pressed with delightful artwork and a touch of quality about them. Originally released as a download in 2014, “Paint the Ground” is a wonderful collection of jangly, gently flowing pop psych that is ideal for those hazy summer days. Opening sweetly with the rippling melodies of “Look Into My River”, the band hook you in immediately, a mellow 1971 West-Coast vibe pervading the air as they get into their groove. On “Dandelion Man”, there is a more up to date guitar jangle, a slightly heavier edge although this is softened by gorgeous harmonies and a a dancing flute, summer is definitely here. Easily an early highlight. “Everywhere Was You” is another gentle tune with an almost Eastern motif running through it, the song ending far too soon, although the delightful softness of “In My Reverie” make up for this the song re-defining mellow with ease, reminding me of The Lilac Time jamming with CSNY in their laconic approach. To end side one “Phoebus Filled The Town” maintains the delicate air, notes shimmering in a musical heat haze, taking back to 1967 and the summer of love, or at least your rose-tinted memories and wishes of the era. After a flawless side of music, I am pleased to say that side 2 is just as good with opener “Antler Season” glowing like a evening sun, a radiance of sound that sets the tone for the rest of the side. Reminding me of Gorky's “Golden Fields in Golden Sun” sounds just as it should, the flute adding a delicate beauty to the tune, whilst “Song to Selkie” has an upbeat approach that will get you grooving around the garden whilst smiling like a loon. Certain of their quality, the last three songs turn out to be the best, proving this is a band of quality and substance, the listener easily immersed in the flowing contemplative mood of “Willow and the Water Mill”, blissed out by the pastoral wonder of “They Lived Up In The Valley” and then energised and amused by the sweet pulse of the Beatle-esque “Pearly Home”, the song leaving you with a smile on your face. 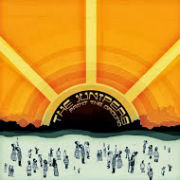 Damn this album is good, those in need of a warm summer sparkle need look no further. 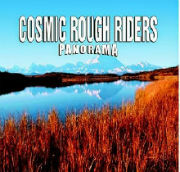 Originally released in 2000, “Panorama”, the second album from Scottish band Cosmic Rough Riders, features chiming Rickenbacker, sweet harmonies and classic melodies that stick in the brain long after the album has finished. Indeed after a few plays you will find yourself humming these tunes as you go about your day. Opening with “Revolution (In the Summertime)”, the band's sense of melody is quickly revealed, strummed guitar offering a solid bed for the laid-back vocal and rhythm, the song a call for gentle, peaceful change. Sounding timeless, “Have You Heard the News Today ?” seems to blend Teenage Fanclub with The Mamas and Papas, the sublime mix of harmony and melody delicious to the ear creating a languid vibe that is easy to like. Changing tack slightly, the Eastern percussion and hypnotic, repeated vocal line of “Brothers Gather 'Round” has a psychedelic feel, this short piece serving as an intro for the brilliant Pop-Psych of “The Gun Isn't Loaded” a song with definite Beatle overtones, but with plenty of originality built in as well, a droning violin being the icing on a very tasty slice of cake. This same lysergic sheen is carried on through the shimmering “Value of Life”, the mood slowly brought back to earth by the delightful pop loveliness of “You've Got Me”, a delightful song of love. To end the side “Afterglow” is a mellow, sweet flowing tune that maintains the quality set by a near perfect selection. Harking back to the sixties pop of The Monkees, Hollies, Searchers, etc, “The Pain Inside” is a classic song with some excellent guitar playing at its centre, this trait for excellence continued with “The Charm” which reminds me of The Green Pyjamas, and “I Call Her Name” which completes a trilogy of just great tunes. To end the side and the album, the achingly beautiful “Back Home Again” is a love song that avoids becoming sickly or over sweetened. What can I say, another flawless collection for people who enjoy quality songwriting that is timeless, mellow and ripe for summertime. 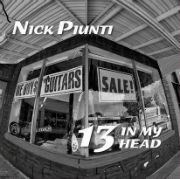 The sun is setting, the beer is flowing nicely and someone has lit a joint, time to crank up the volume just a bit with the power pop groove of Nick Piunti, whose “13 In My Head” album is a glorious mix of riff and melodic sweetness that has a perfect party vibe. Kicking off with the nostalgic title track the album soon settles into its stride sounding like a heady mix of Tom Petty and Supergrass that will get you dancing on the lawn. The pace maintained on both “On The Way Out” and “Good Thing Going”, the former having a classic “Nah Nah” chorus, whilst the latter has some great guitar work and an excellent vocal performance with Nick's voice sounding perfect for this and the rest of his tunes. Making sure the energy levels remain high “We'll Be Together” manages an Aerosmith swagger and a New Wave riff, the side ended by the more pop orientated “She's A Good Time” which brings back those Tom Petty comparisons in a good way.